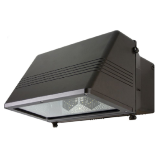 LED wall pack lighting fixtures for your commercial or parking lot light projects , are available with 50-525 watts equivalent. 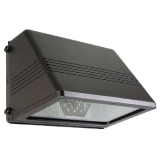 We can replace your old style wall pack Light fixture with new LED wall pack technology that will save you electricity as well as maintenance cost. Available with electronic ballast, your existing voltage is not a problem because the new generation ballast are multi-voltage meaning they will adjust to your existing voltage. 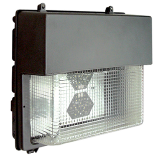 We carry a full line of LED wall packs, both standard and full cut off wall packs styles are available. 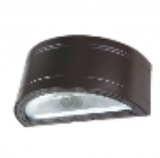 Each fixture can be built by design for your LED specifications such as wattage and expected lumen output. Call for qty discounts on our LED lighting fixtures.